Derbyshire and Nottinghamshire County Councils launched a survey of small towns in the two counties in 1997 as part of the national EUS programme instigated and funded by English Heritage. In Nottinghamshire 18 small towns were surveyed to provide high quality data about the archaeological potential of the towns and their historical development for archaeologists and the local planning authorities. 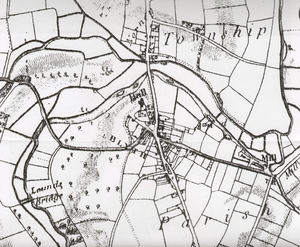 The reports utilised information from the county Historic Environment Record and a range of accessible secondary sources; at least one visit was made to each of the towns in the study.